2 websites hosted with Arvixe for over 8 years. Arvixe is a popular website hosting provider for those located in the U.S. due to its affordability, American support personnel and free domain names, but this company is also global. 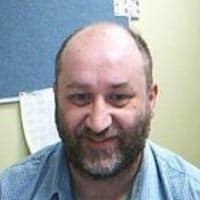 We contacted Aussie Paul Chubb, owner of singlespoon.org.au and partner in themannahouse.com.au in order to find out more about his personal experience with Arvixe. Welcome, Paul! First, we’d like to get to know you a bit better. What can you tell us about you, personally? I live in Ngunnawal, a suburb of Canberra, Australia’s capital city. I have a family of six that includes my wife, three adult sons and a daughter who is in primary school. I have a degree in Theology and a major in Computer Science. As part of the Nations Heart (Churches of Christ) church, I was a leader in teaching ministries and a Bible college. Since then I have been providing a series of websites for other ministries hosted by Arvixe. For most of my working life I have also worked as a computer professional in my day job, providing computer services such as server fleets to an Australian government organisation. Let’s talk about how you use your Personal hosting plan from Arvixe, which you have had for over eight years. What websites do you host there? From my teaching ministry and the Bible college, I amassed a large amount of teaching material which, in some cases, was pretty unique. I needed somewhere to store and offer this material. The Single Spoon site was developed for that purpose. I have also supplied a couple of websites to an African ministry from Kampala, Uganda. TheMannaHouse.com.au is hosted in a separate hosting account paid for by me. The URL http://paulsportfolio.singlespoon.org.au/ is an e-portfolio that I created as part of a Grad Dip Ed a couple of years ago. Can you tell us what, in particular, you most enjoy about your Arvixe hosting account backend? I like the cPanel that allows you to do most things. I have yet to run into any limits regarding the company’s unlimited disk space and data transfer. Arvixe also offers a free site builder, but I use either hand-coded or CMS-based sites. "I like the cPanel that allows you to do most things." Has Arvixe performed up to expectations? Are you satisfied with their performance and has it been as advertised? I am among other things an IT professional and used to run computing services to an organization of 3,500 people. Things sometimes go wrong. The key things you want are that problems are rare and that when something does go wrong, the provider tries hard to fix them. Arvixe rarely has problems. They try really hard to fix problems when they happen and are generally very quick in resolution. This, to me, indicates that they are providing a premium personal web hosting service. Yes you can get better service but you are then into the realm of high cost business services. Having managed the client relationship of such services in the past, I would have to say that they are not significantly better than what you get from Arvixe at a very reasonable price. "Arvixe rarely has problems. They try really hard to fix problems when they happen…"
That’s great insight, Paul. How about the hosting speed of Arvixe? Arvixe has an upgrade cycle like anyone else. Towards the end of that cycle I have noticed some slowness on heavy duty applications such as CMS-based sites. This has not been excessive, though and I’ve never received complaints from users that any of the sites load slowly. Paul, can you tell us about your experience with the customer support team at Arvixe? Support on the rare occasions you need it is swift and they try really hard. Sometimes my problems are fixed before I get back to check on them. The staff is very knowledgeable. They don’t tend to make assumptions about your technical ability. Do you have any last bit of advice you want to share – maybe something you would do differently looking back at your experience? One thing I might do differently is for generic data, I would host using a CMS like Joomla. Currently it is mainly SHTML. Thank you, Paul, for taking the time for this interview. Sounds like you are a busy man and we appreciate your professional opinion and input. Best of luck to you in your future ministry endeavors. To learn more about Arvixe, read our editor review on Arvixe.